Due Dates – The total amount of Booth Rent to reserve a space must be submitted with this signed Agreement by Saturday, April 5, 2015. Spaces assigned with full payment only. First pay, first assigned procedure applies. The balance is due 14 days before each show date. A payment on the day of the DC Love Locs & Natural Hair Show, April 18, 2015 will be assessed a fee of an additional $25.00. Money orders or bank / cashiers check will be accepted as well as Paypal payments. BOOTH RENT: $150.00 (6 ft. table will be provided) All items must be displayed and sold from the table. 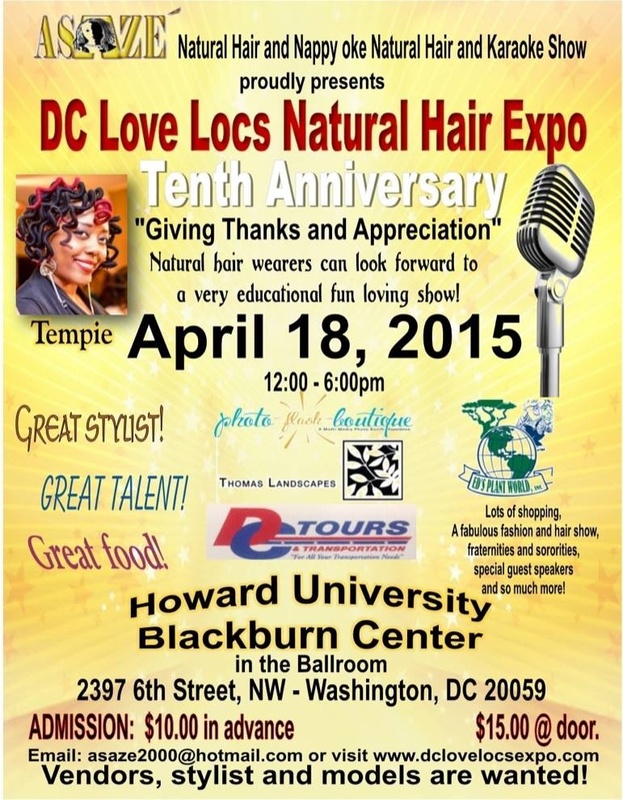 DC Love Locs Expo tenth anniversary! Tickets are just a click away!